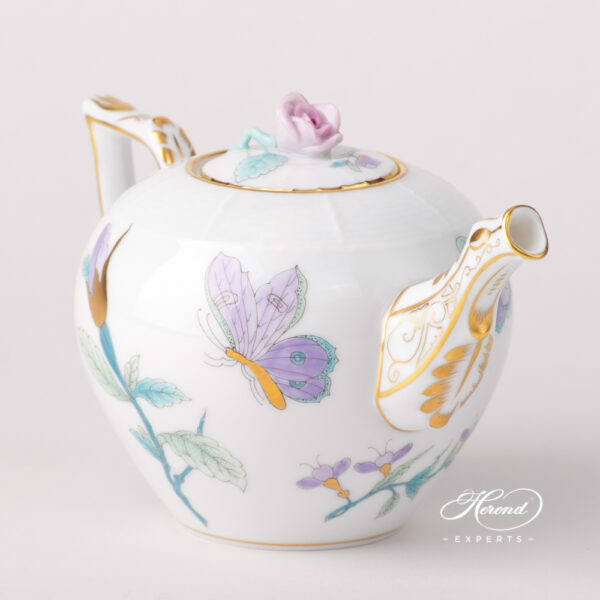 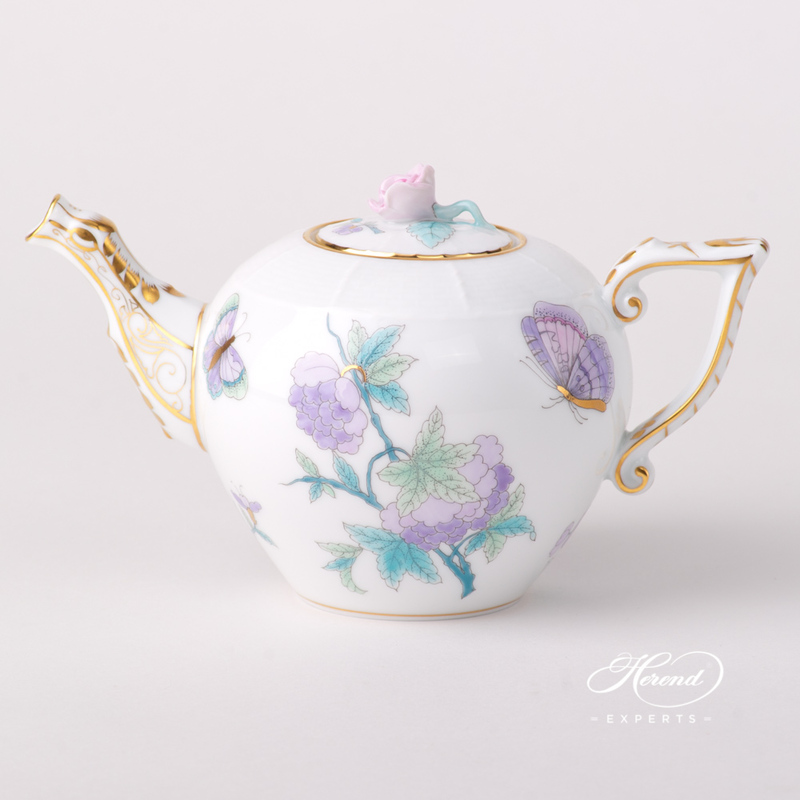 Herend porcelain Miniature Tea Pot w. Rose Knob – Herend Royal Garden Turquoise – EVICT2 design. 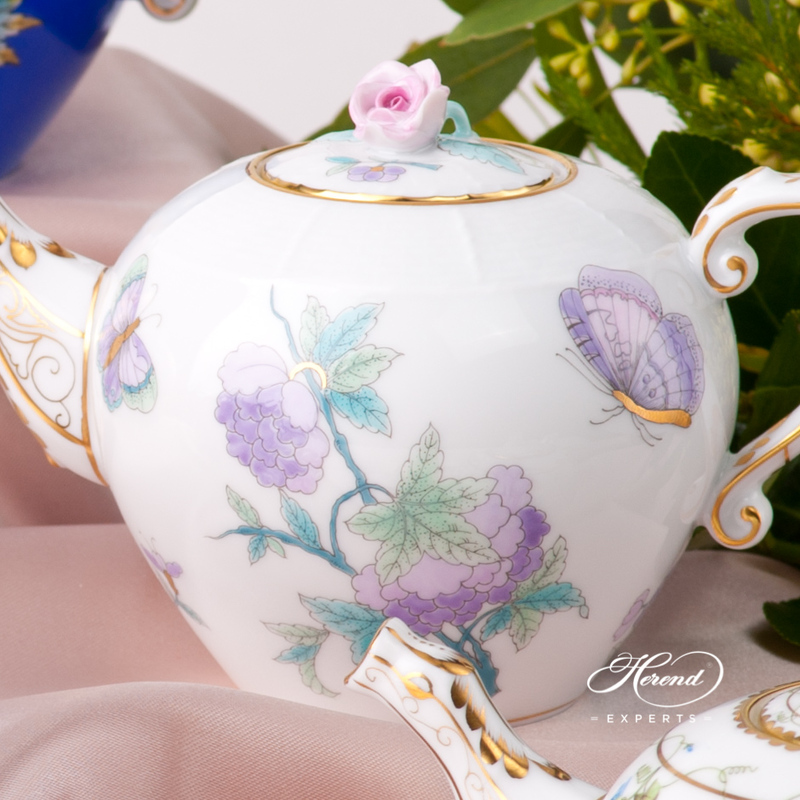 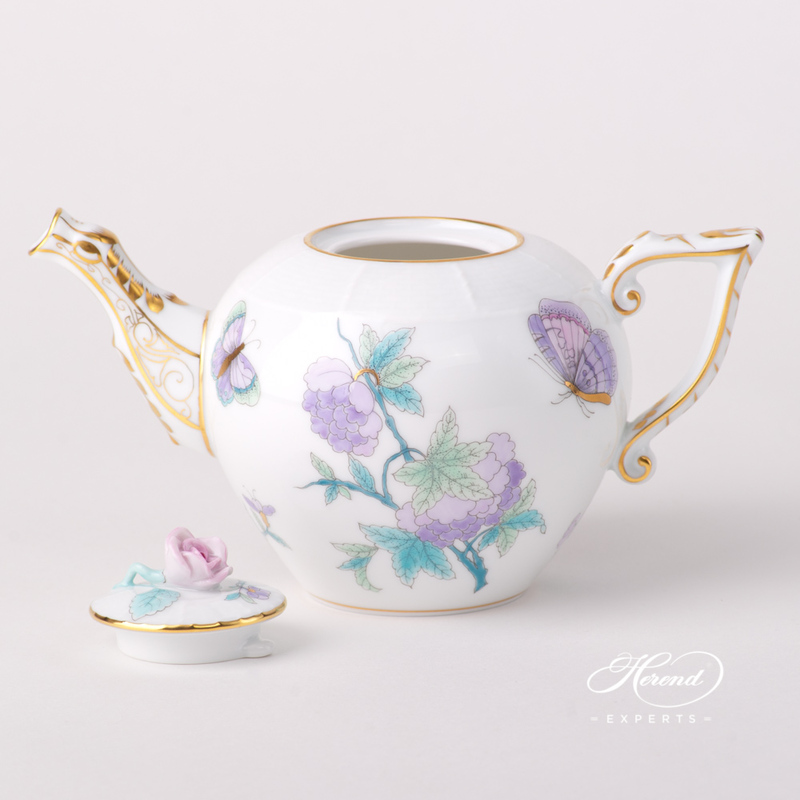 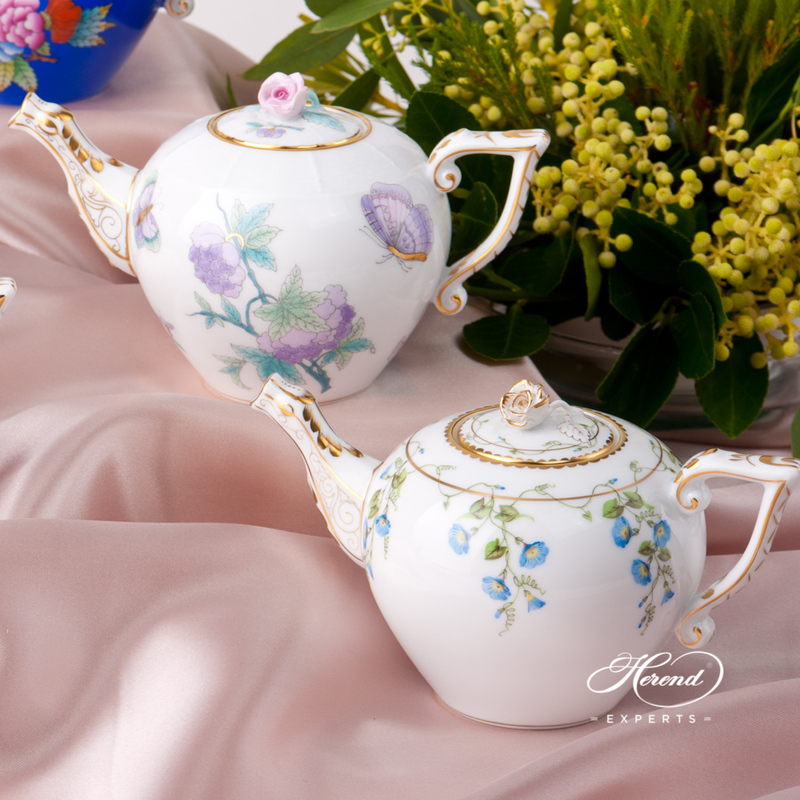 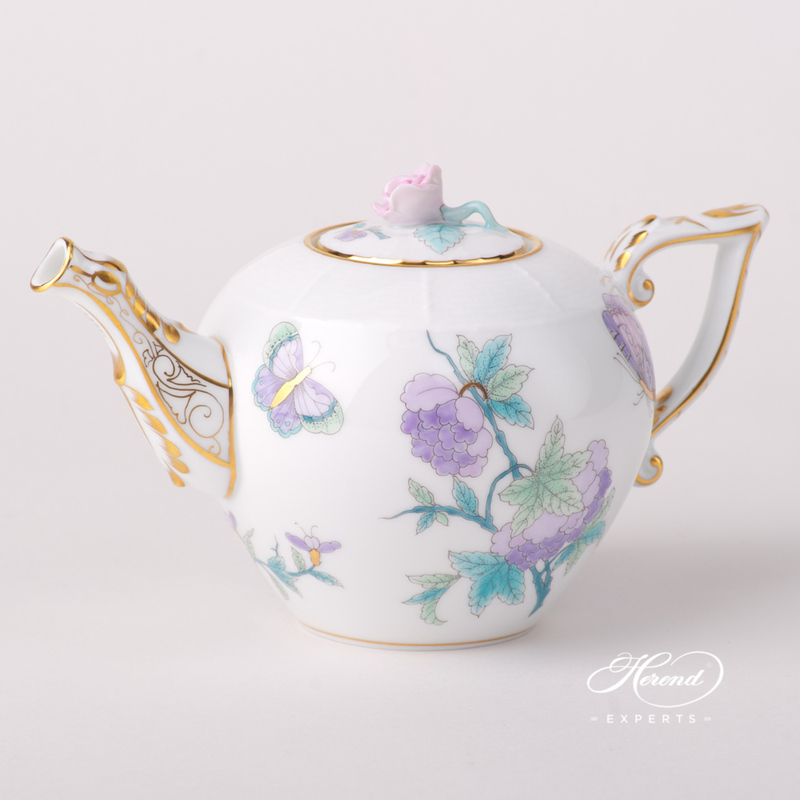 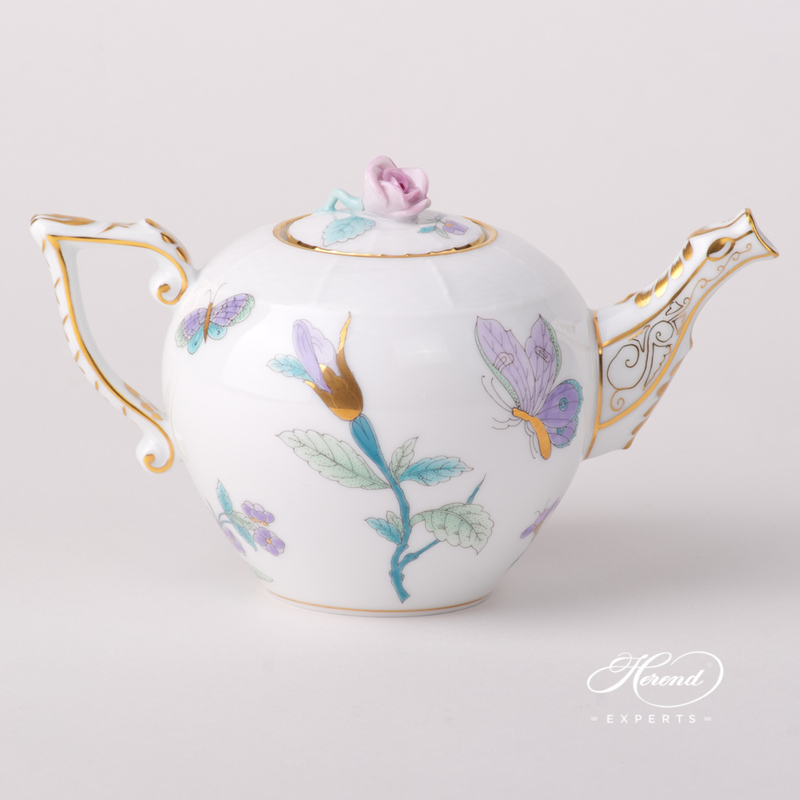 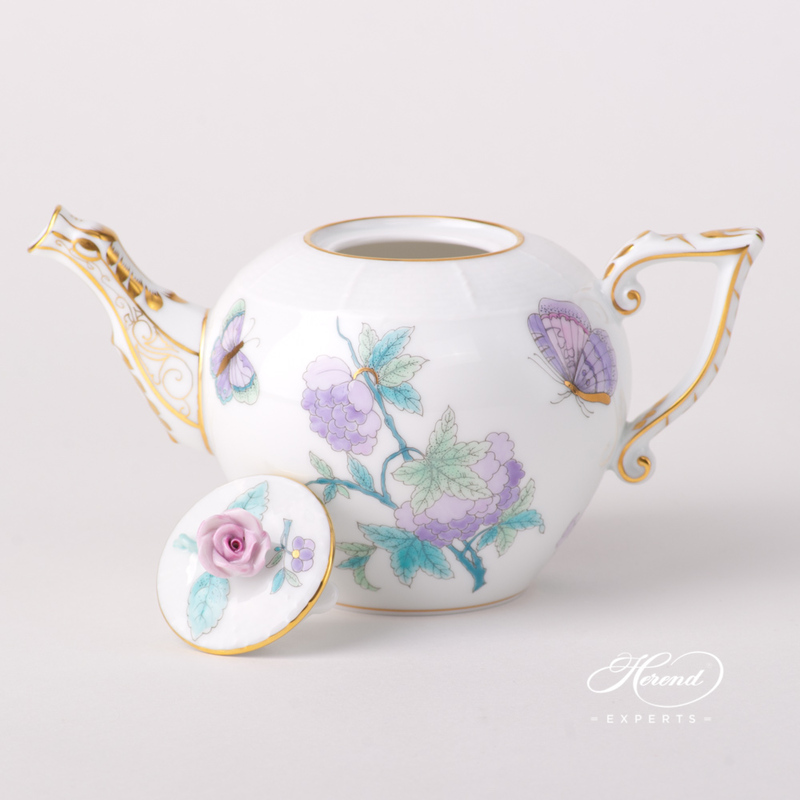 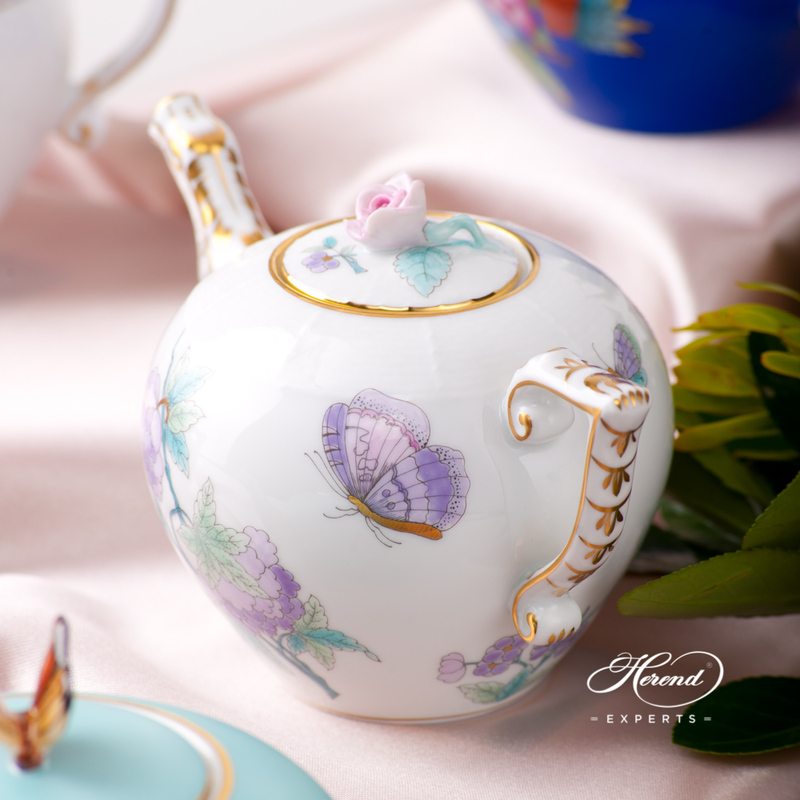 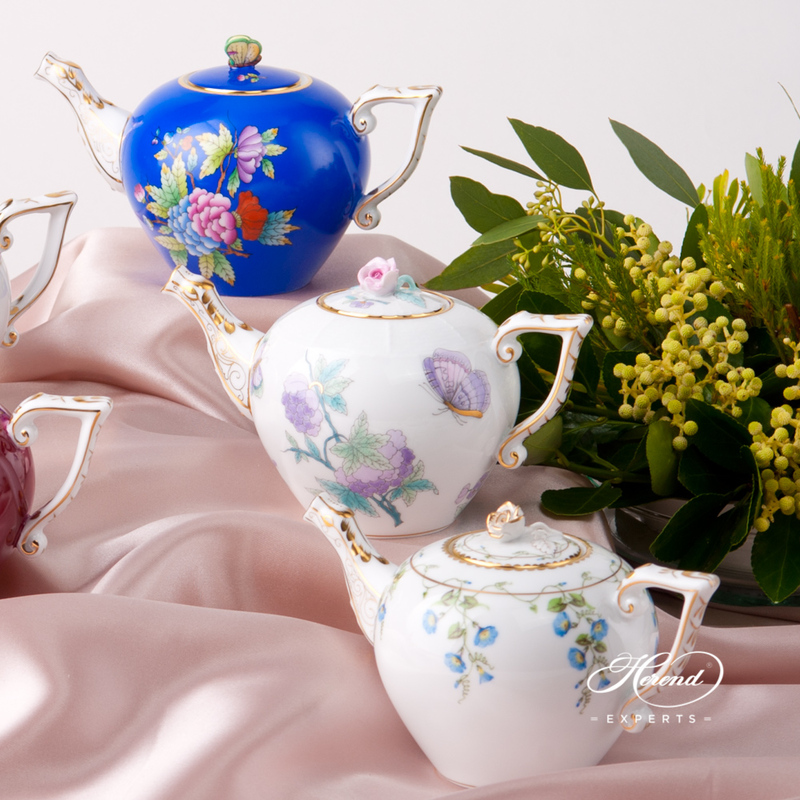 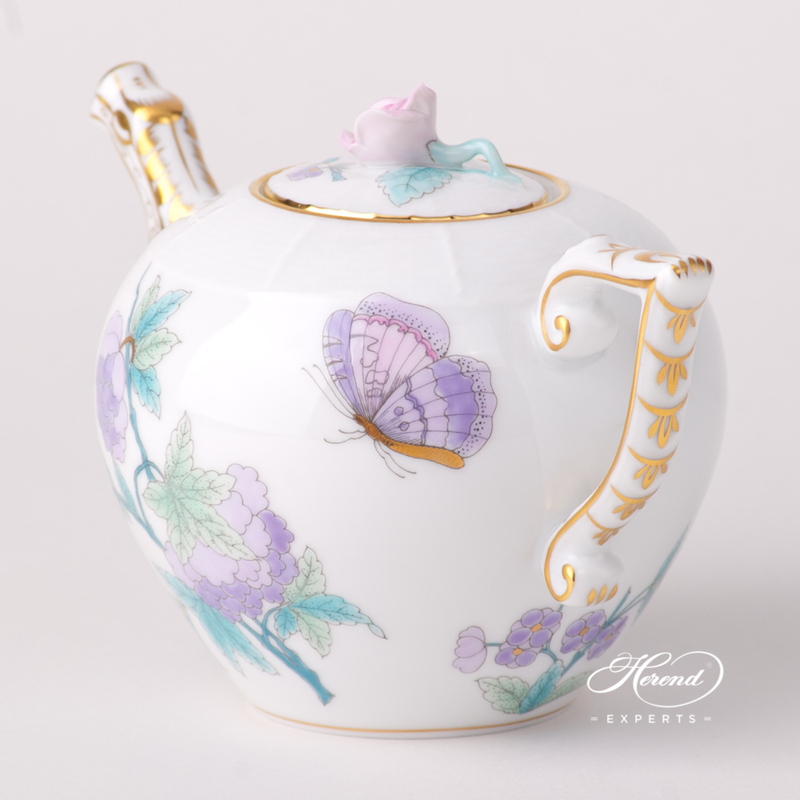 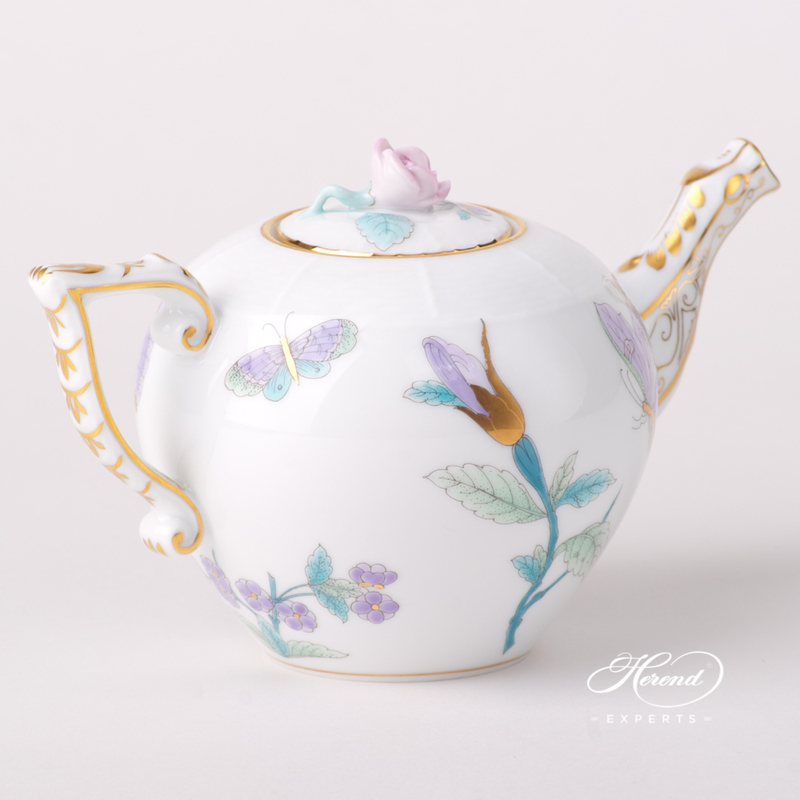 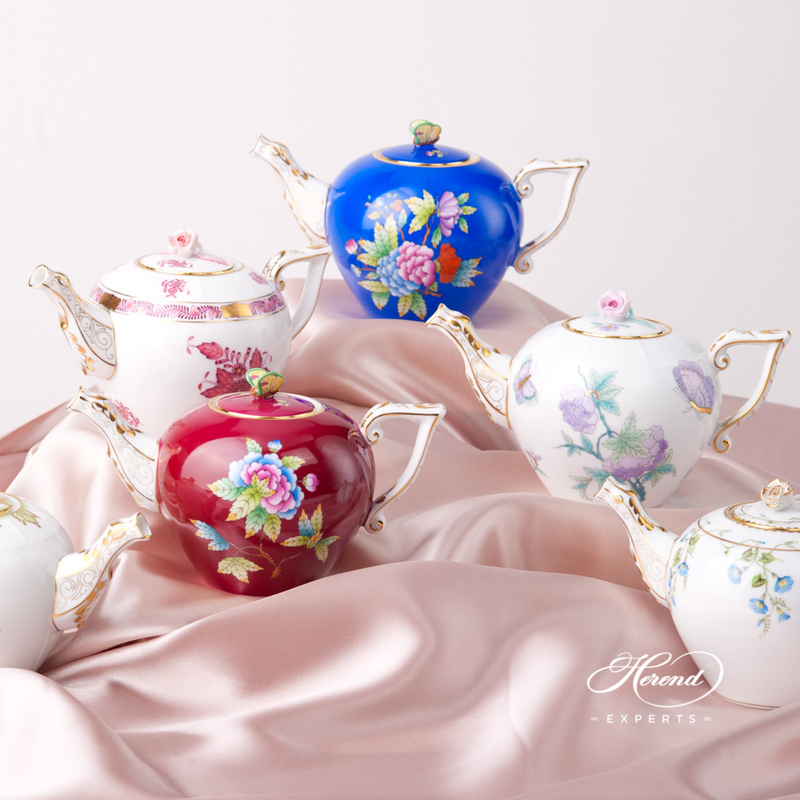 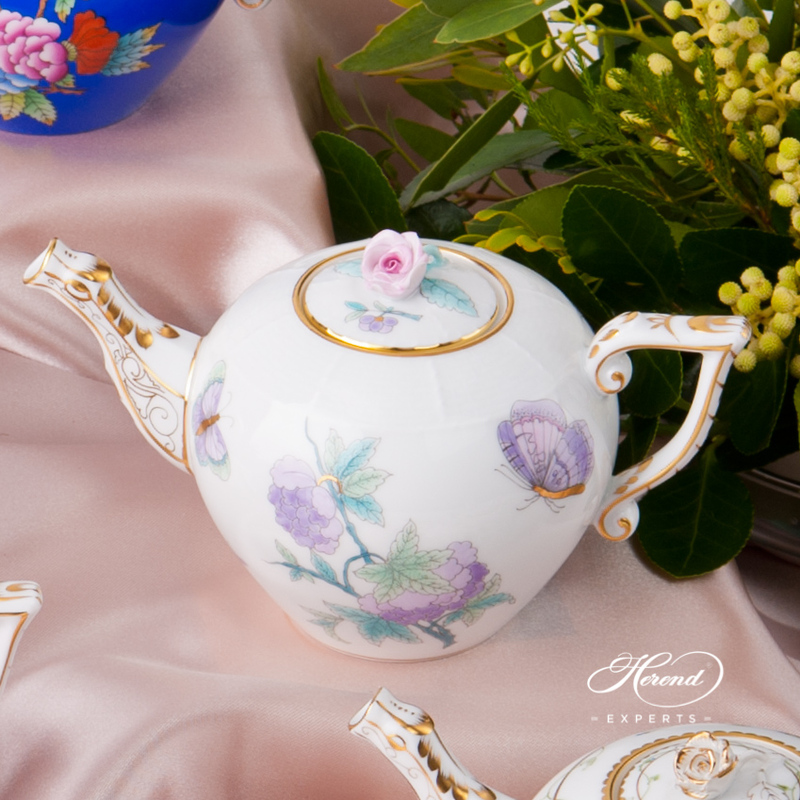 The Royal Garden Miniature Tea Pot with Rose Knob can be ordered in Green EVICT1 or Turquoise EVICT2 versions as well. 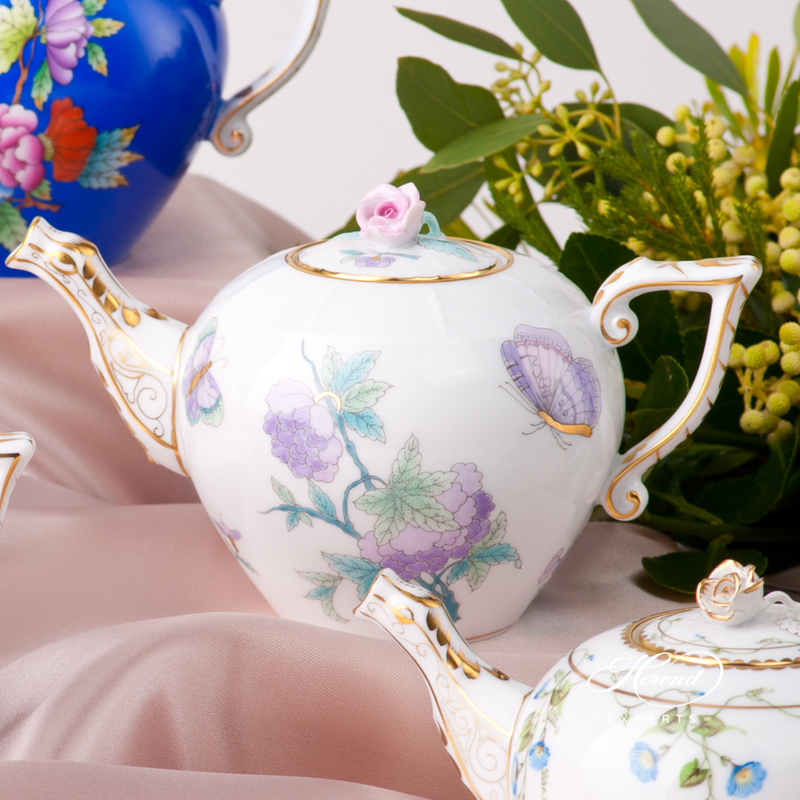 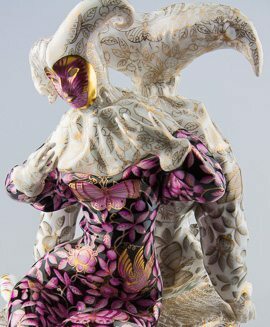 Royal Garden EVICT2 pattern in Tea, Coffee, Espresso Sets and Dinner Services are available.